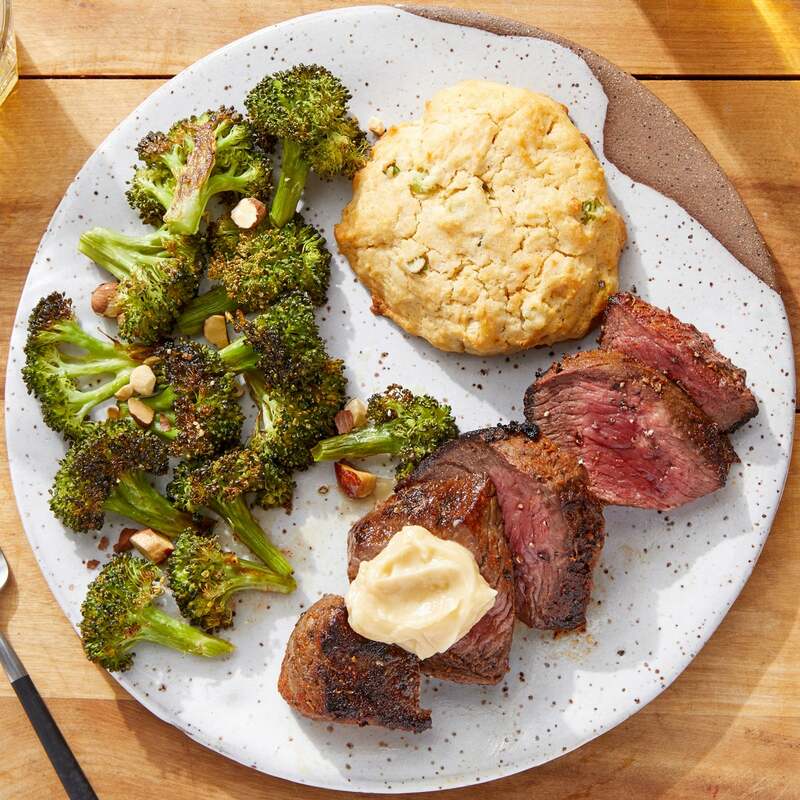 This comforting dish pairs warm, homemade biscuits with rich seared steaks—coated in a blend of bold Cajun-style spices, then topped with a dollop of sweet, creamy maple butter. Remove the butter from the refrigerator to soften. Place an oven rack in the center of the oven, then preheat to 450°F. Wash and dry the fresh produce. Cut off and discard the bottom ½ inch of the broccoli stem; cut the broccoli into small florets. Thinly slice half the scallions (you will have extra). Roughly chop the almonds. In a large bowl, combine the biscuit mix, fromage blanc, sliced scallions, a pinch of the spice blend, and 1 tablespoon of water. Gently stir until just combined (be careful not to overmix). Lightly oil one side of a sheet pan. 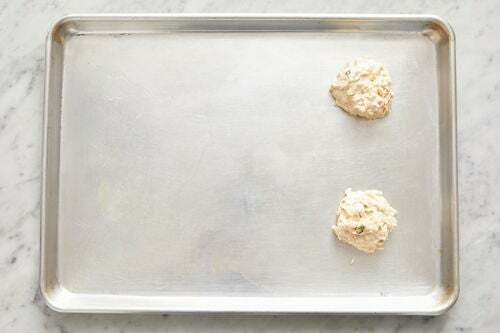 Scoop out 2 equal-sized dollops of the biscuit dough and place on the oiled side of the sheet pan. 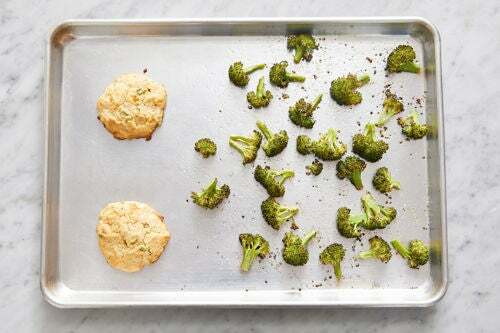 Place the broccoli florets on the other side of the sheet pan of biscuits. Drizzle with olive oil and season with salt and pepper. Toss to coat and arrange in an even layer. Bake 14 to 16 minutes, or until the biscuits are set and cooked through and the broccoli is tender when pierced with a fork. Remove from the oven and let the biscuits stand at least 2 minutes. 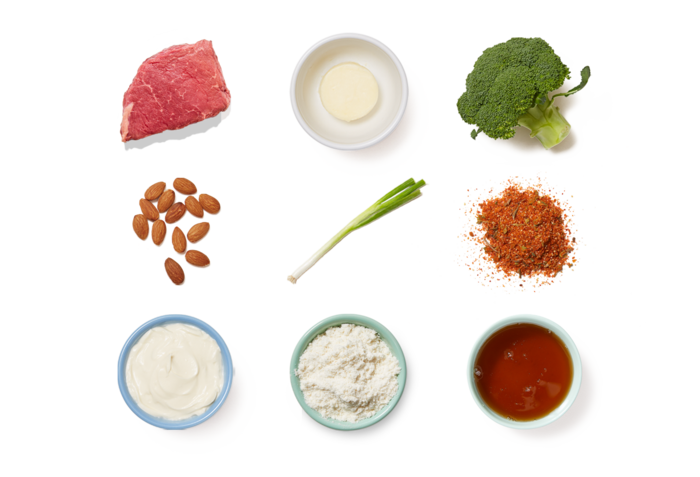 While the biscuits and broccoli bake, pat the steaks dry with paper towels; season on all sides with salt, pepper, and enough of the remaining spice blend to coat (you may have extra). In a medium pan (nonstick, if you have one), heat 2 teaspoons of olive oil on medium-high until hot. Add the seasoned steaks. 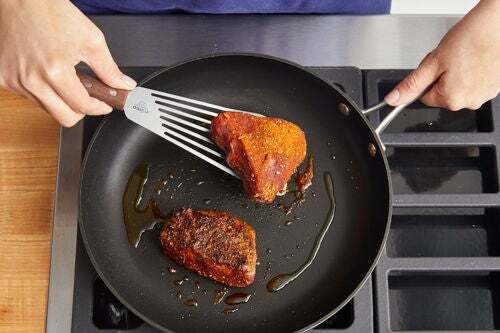 Cook, turning occasionally, 8 to 10 minutes for medium-rare, or until cooked to your desired degree of doneness. Transfer to a cutting board and let rest at least 5 minutes. While the steaks rest, place the softened butter in a bowl. Gradually add the maple syrup, stirring vigorously to combine. Season with salt and pepper. 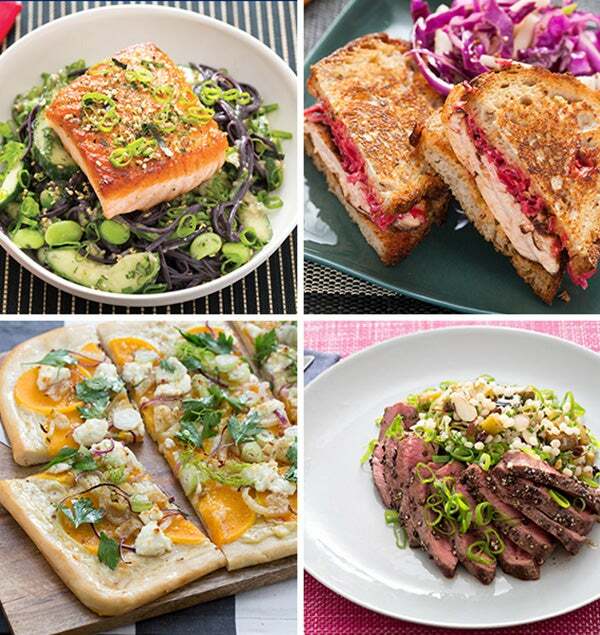 Find the lines of muscle (or grain) on the rested steaks; slice crosswise against the grain. 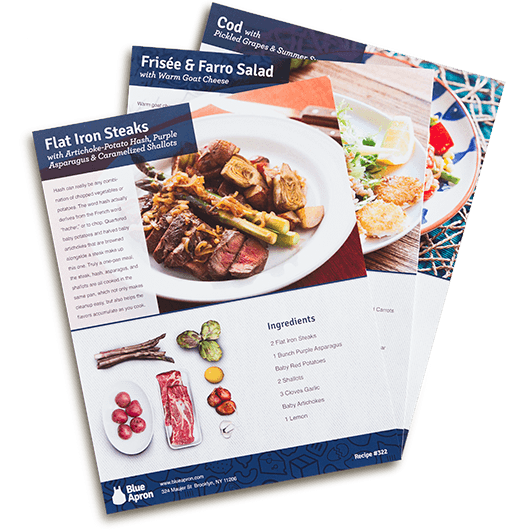 Serve the sliced steaks with the baked biscuits and broccoli. Top the steaks with the maple butter. 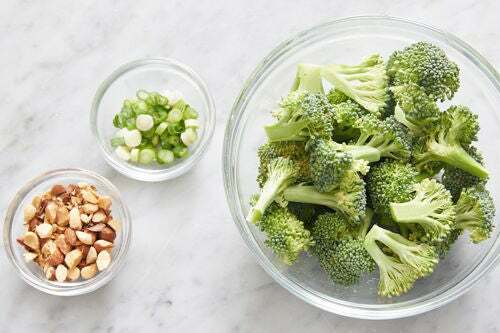 Garnish the broccoli with the chopped almonds. Enjoy!